ShopSavvy, the provider of solutions for mobile commerce, has announced the introduction of its SavvyListings, a service comparable to Craigslist but designed for the mobile marketplace to allow consumers to use their tablets and smartphones to sell products. All sellers need to do to sell their used, unwanted items is to scan the barcode of the product with their smartphone, and enter information about the condition, and the desired selling price. This is a free service and the category, description, and images of the product do not need to be included. ShopSavvy also provides consumers with a suggested price for every item that they post, but gives the seller the opportunity to choose his or her own shipping fee. 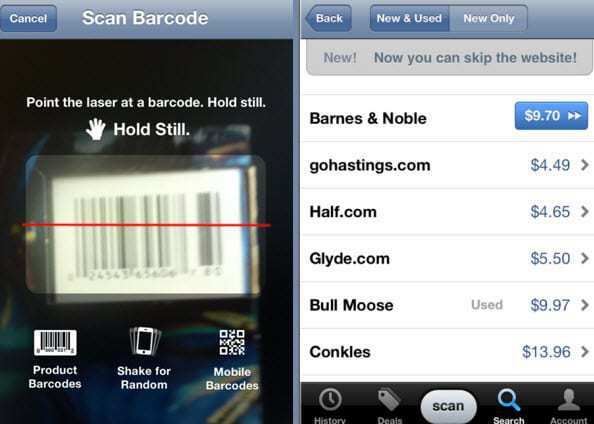 Sellers can use their mobile devices to scan QR codes, and UPC or EAN barcodes in order to automatically enter the product information and to see information regarding the in-store retail prices and inventory at various online and local retailers. The product is then added to the list of new products and similar products that buyers will be able to browse and search within the ShopSavvy app. Through the app, the buyers can contact the sellers with any questions about the items, and can also arrange for purchase and shipping. The original ShopSavvy service was first started in 2008, and has now achieved over 20 million downloads of its app, and has over 10 million unique users currently using its various platforms, which included Apple iOS, Android, Windows Pone, and Symbian.